This salad is quick, colorful & exploding with great flavors. Tons of sweet, juicy fruit is baked with sugar & a hint of lemon bringing all the flavors to life. Then you’ve got fresh arugula to add a tangy bite. 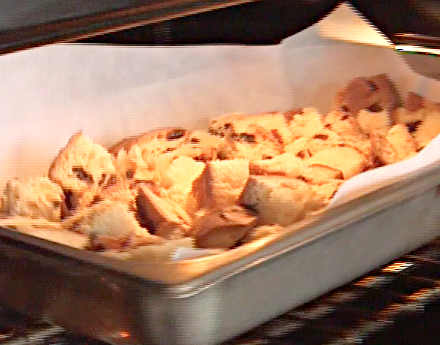 Add the baked Panettone croutons for a fruity crunch & top with a zesty lemon dressing. 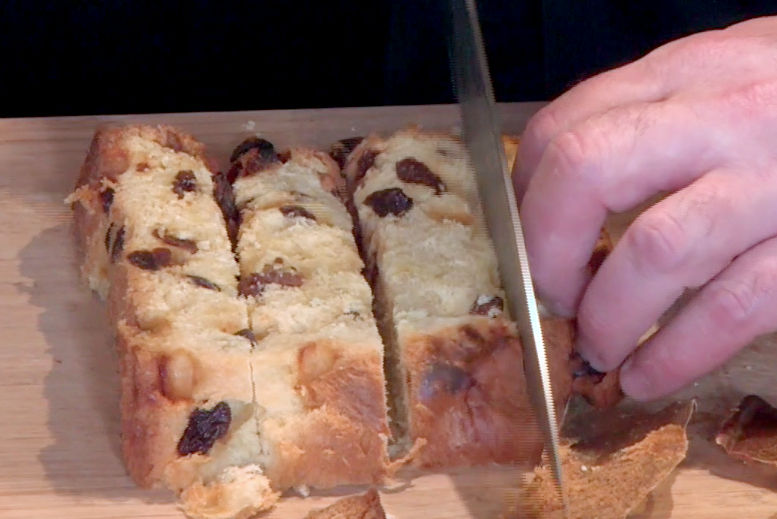 Watch Chef Michael take us step-by-step through his recipe! 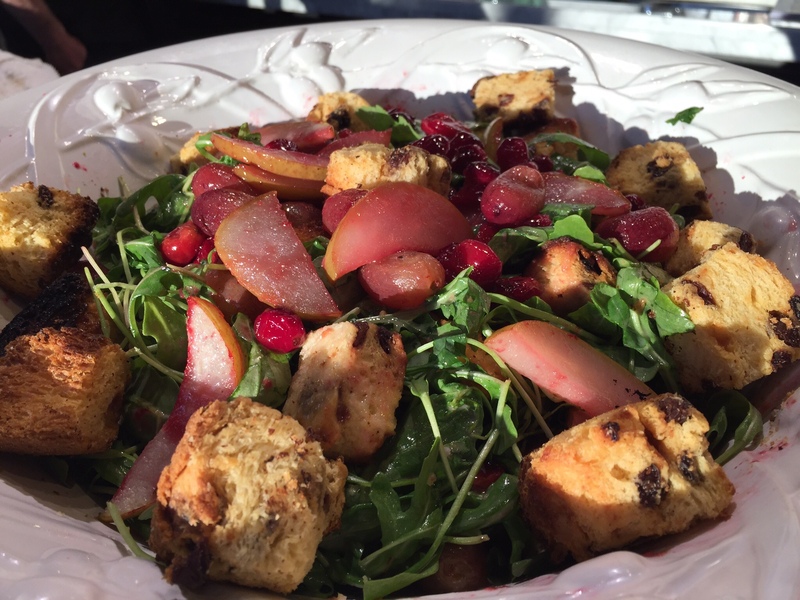 Combine arugula, roasted fruit & Panettone croutons in large bowl. Add salad dressing, toss and add salt and pepper to taste. This entry was posted in Holiday, Holiday Recipes, Recipes, Soups & Salads, SUB NAVIGATION and tagged arugula, chef, Cranberry, croutons, dressing, fruit, panettone, pear, plum, Recipe, roast, Salad, video. Bookmark the permalink.